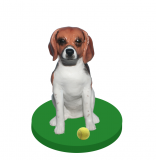 Home > Pets Bobbleheads > Custom Couple And Pet Dog Bobbleheads From Photos. Make a bobble head of yourself. 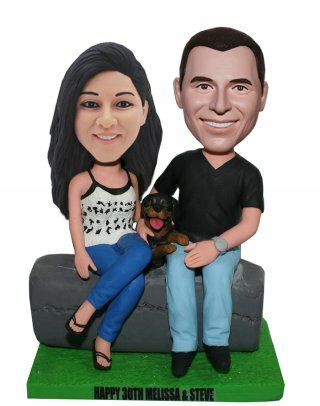 Seat on a stone in green grass base,this couple wearing casual dresses and ready to take photo with their lovely smile teddy dog.This customized bobblehead is a wonderful and also a surprise gift for the happy couple with their daily life dress. This customized happy couple bobblehead is perfect to immortalize their lovely story. Also it's a nice give for the couple your wanna show your blessings to. And our artists are applauding for them too! !